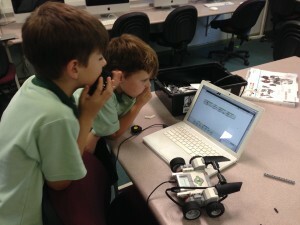 making | Purpose Based Learning – Education for Now! 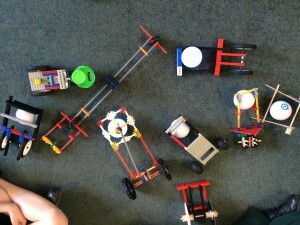 Tinkering and making, or Tinkertime as the kids term it, has been the learning activity of choice in my stage two class for the past year or so. 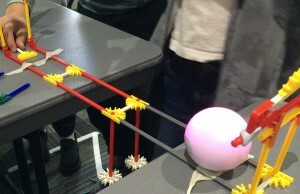 After seeing a range of makerspaces and hands-on learning environments on my Churchill fellowship last year I was keen to introduce tinkering into my classroom. 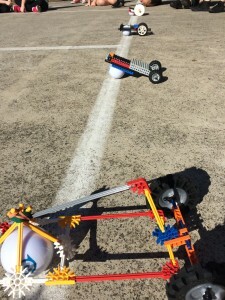 Learning through play is the term used by Chris Rogers from TUFTS CEEO when talking about LEGO bricks and robotics as tools for classroom learning. Tinkering is also about learning though play and is inclusive of creative, challenging, reflective and shared learning experiences. 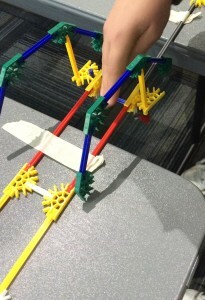 Tinkertime and making has proven a very successful way to have all students engaged in hands-on design and make activities. 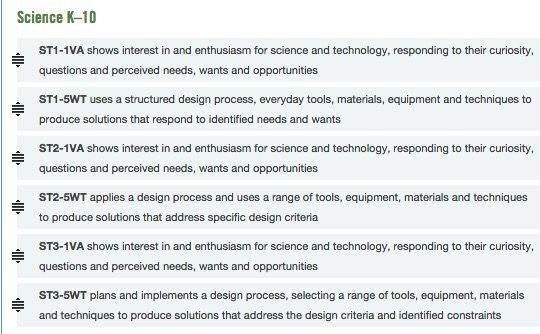 There are demonstrable milestones and outcomes programmed against the NSW Science K-10 syllabus and the Working Technologically strand. Importantly, when combined with aspects of the Mathematics K-10 syllabus covering Working Mathematically and English K-10 via student reflection, tinkering offers comprehensive cross key learning area differentiated learning. 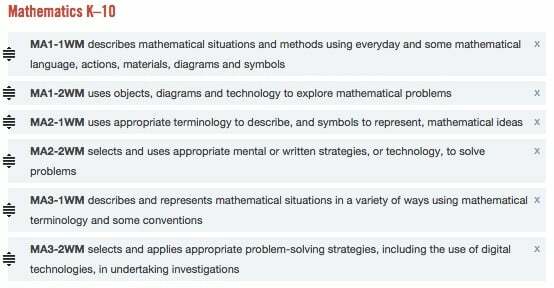 The K-6 NSW outcomes that may be applicable are shown below. At the same time I regularly check-in with students to ensure that they are effectively reflecting on the design and make process. I have them verbally identify their successes but also challenges. I always ask, ‘What could be improved?’ and ‘How sweaty is your brain?’, a question that encourages students to reflect on the mental effort and thinking that is taking place. Frustration, failure and persistence are traits and experiences that students need a self-awareness and understanding of. Too often student mindsets don’t allow for failure and I’ve found that tinkering greatly develops resilience in students. Failure and mistakes are what tinkering is all about and giving up on a task is not an option. A few examples of successful activities and that also use a minimum of resources are outlined below. 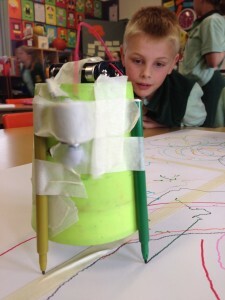 These simple yet effective machines are made with a cup, 3-5 felt tip markers and a small DC motor and battery with plasticine or similar to act as a balance. Students are set the challenge of designing a machine that scribbles across a page leaving a colourful and creative design or pattern. The trick is to get the motor out of balance so that the machine is vibrating across the paper. Adjusting the motor position and adding material to ensure that the shaft is out of balance are essential to success. 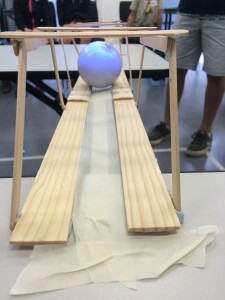 Marble runs have a been a wonderful surprise, this year. They are surprisingly simple, yet can offer degrees of complexity and opportunity that I had never considered. 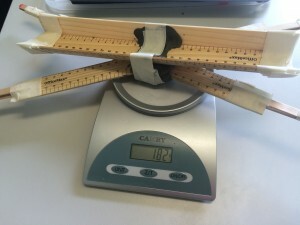 Using just paddle pop sticks and plasticine my class have had hours of challenging fun designing and testing courses with set criteria such as the run must take 9 seconds from start to finish, or, it must include 14 sticks or 3 acute angle and 4 obtuse angle drops. The criteria are endless! What else? 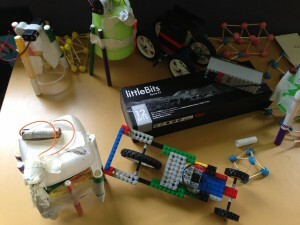 Well LEGO brick constructions, deconstructing broken mechanical items and toys, robotics in its many forms including littleBits, cubelets and NXT/EV3 robotics, paper and sewn circuits, coding and programming are all options during Tinkertime! 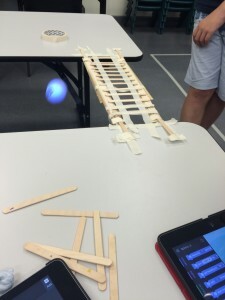 There are many resources now available on the web and I recommend Stager’s Invent to Learn text and website and the Exploratoriums Tinkering site for activity guides and their wonderful Coursera Tinkering course. 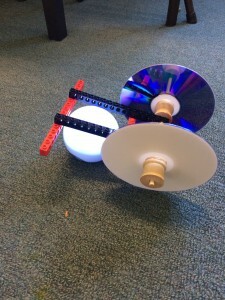 With the increasing focus on making STEM interesting, valid and valued within the K-6 curriculum, tinkering and making have rightfully bright futures in the contemporary teaching and learning environment.